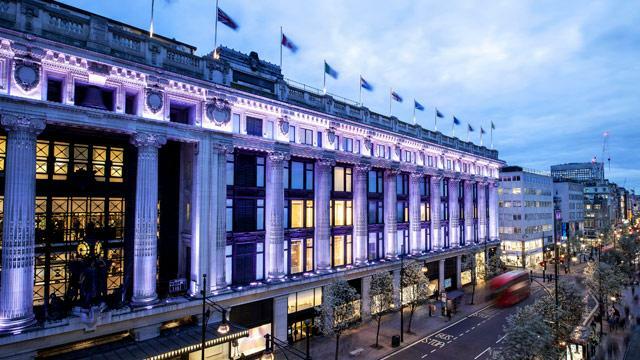 One of London’s most iconic department stores, Selfridges, will begin experimenting with an Internet of Things zone at its flagship Oxford Street store. Electronic products distributor Bullboat will be in charge of stocking the zone, which is located on the ground floor of the famous store. It intends to make the zone an “experience” for shoppers, teaching them the advantages of IoT products in the home. Bluesmart One – A smart suitcase that locks itself and can be tracked on a smartphone. Drop – A smart kitchen scale that comes with a recipe app. Micro Drone 3.0 – a miniature quadcopter that can record video. Moov Now – A fitness tracker that coaches you through a mobile app. Netatmo Welcome – an indoor surveillance camera with facial recognition and video recording capabilities. Nomad – iPhone, Apple Watch, and iPad case manufacturer. Prynt – A mini-printer that attaches to your smartphone for pocket sized prints. Ring Video Doorbell – a doorbell that tracks audio and livestreams the outside of your house when someone calls. TrackR Bravo – A tracker that shows you where lost keys, smartphone, or other items are hiding.